As everyone seems to be, Nick Charlie Key, is seriously into Banting. 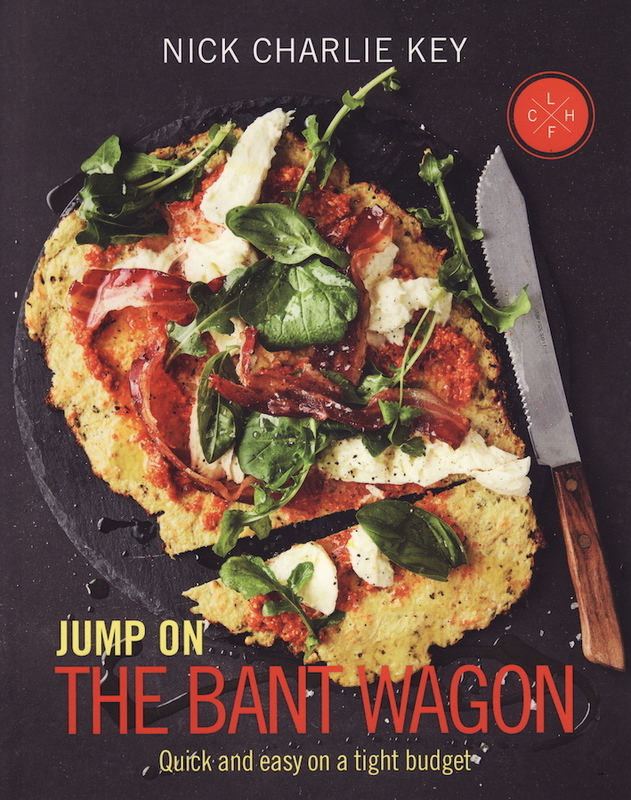 In a city where Banting is the buzz word, Jump on the Bant Wagon, subtitled Quick and Easy on a Tight Budget, apart from its mildly corny title, is an excellent addition to the wealth of low carb high fat eating style books written in South Africa. Nick Charlie Key is a social network specialist by day and a Banting student in his own kitchen by night. The results of his night shift are published on his website, The Bant Wagon, where he also blogs. Jimmy Moore, one of the speakers at the first international Low Carb High Fat Health Summit held in Cape Town rated his blog the third best upcoming health blog. He was also one of the finalists for the African Blogger Awards. His blog stemmed from desperation: He was overweight and recently diagnosed with metabolic syndrome. He started to bant and lost 22 kg in 6 months. He then started the blog to share his knowledge with fellow Banters. The book is divided into the courses of the menu with the addition of Breakfast, Light Meals and Baking and Desserts. Excellent photography by Myburgh du Plessis, who is making a name for himself as a photographer who creates touch and feel food. This is a book which I will keep for the short term on my side table to read from cover to cover and will then make its way into the kitchen where it will be used, again and again.